The solution to baby's dummy falling on the floor: the dummy-chain! 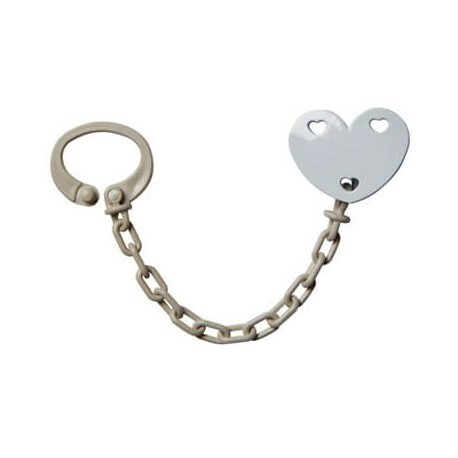 This cute heart-shaped dummy-chain is great and available in 8 different colours. The dummy-chain is attached to the child's clothing so that it doesn't disappear. It is personalised with UV laser that does not wear off easily.